Upcoming US series The Librarians will premiere on the Universal Channel in December, premiering globally within 24 hours of its US debut. 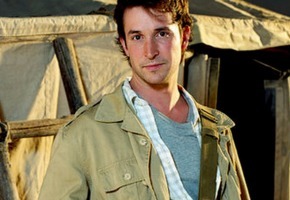 The action-adventure series sees Noah Wyle (Falling Skies, ER) reprising his recurring role from The Librarian telemovie trilogy alongside Rebecca Romijn (X-Men). The cast also includes Christian Kane, Lindy Booth, John Kim and John Larroquette. “With The Librarians we knew we had a great series on our hands and now, with Universal Networks International as our partner, we are thrilled that it will have the global reach and publicity it deserves,” added Electric’s Head of International Distribution Sonia Mehandjiyska. The Librarians centres on an ancient organisation hidden beneath the Metropolitan Public Library in New York dedicated to protecting an unknowing world from the secret, magical reality hidden all around. This interesting group of characters solves impossible mysteries, fights supernatural threats and recovers powerful artefacts from around the world. Among the artefacts housed in the Library are the Ark of the Covenant, the Spear of Destiny, the Judas Chalice and Excalibur, to name a few. Only a person with special skills could be responsible for collecting and protecting these artefacts and, more importantly, for preventing them from falling into the wrong hands. The Librarians franchise of movies began in 2004, with sequels in 2006 and 2008. The first instalment rated as US basic cable’s number one movie of the year, with the second instalment placing amongst the top five US basic cable’s movie telecasts of the year and cable’s number one original movie sequel. The Librarians is Executive Produced by Wyle, Dean Devlin, John Rogers and Marc Roskin. For the past 10 years, Flynn Carsen (Wyle) has served as the Librarian. Prior to taking the job, he was a bookish nerd with 22 academic degrees and absolutely no social skills. As Librarian, however, he managed to use his extraordinary knowledge, successfully recovering ancient artefacts and, in the process, saving the world from unspeakable evil on more than one occasion. Over the last decade he’s gone from bookworm to dashing swashbuckler, one of the secret heroes of the hidden world. As great as Flynn is, the job of Librarian has become more than one person can handle. To aid him in his duties, the Library has recruited four people from around the world, including Eve Baird (Romijn), a highly skilled counter-terrorism agent who is responsible for protecting the group and keeping them all alive; Jake Stone (Kane), an Oklahoma oil worker with an IQ of 190 and an encyclopaedic knowledge of art history; Cassandra (Booth), a quirky young woman with the special gift of auditory and sensory hallucinations linked to memory retrieval, known as “synaesthesia”; and Ezekiel Jones (Kim), a master of new technologies and aficionado of old classic crimes who enjoys playing the role of international man of mystery. Overseeing the new team of Librarians is the somewhat cantankerous Jenkins (Larroquette), an expert in ancient lore who has been working out of the Library’s branch office for longer than anyone knows. Together, they must tangle with many adversaries, chief of whom is the Serpent Brotherhood, an ancient cult led by the mysterious immortal Dulaque (Frewer). Love the movies so will def have to watch this series! Lighthearted fun.